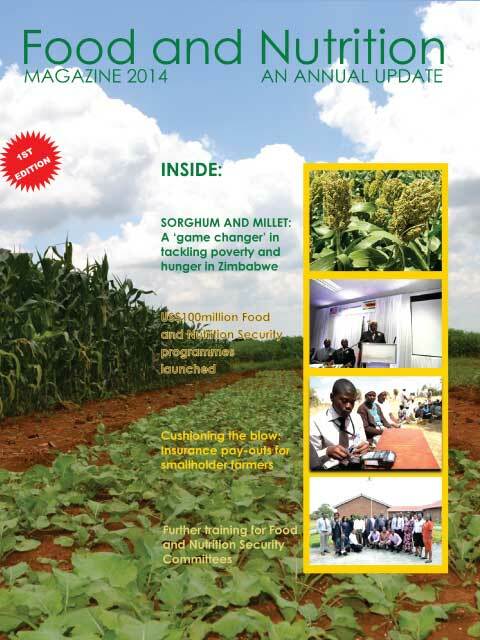 Welcomes you!We coordinate multiple stakeholders working toachieve Food Security in Zim! FNC @ Work from 2001 - date! Breastfeeding is important!Malnutrition is preventable!Breast milk is 100% perfectBreast is best! Everyone in Zimbabwe must have reliable access to a sufficient quantity of affordable and nutritious food, now, and for the continuity of time. The FNC and fellow partners are at the helm of food security and nutrition programmes in the country. 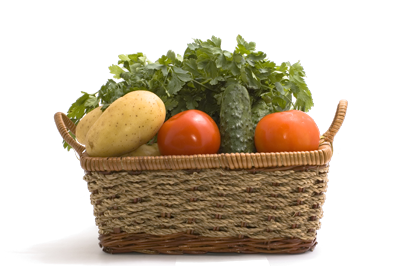 The quality of our nations nutritional health is just as important as access to reliable sources of food. 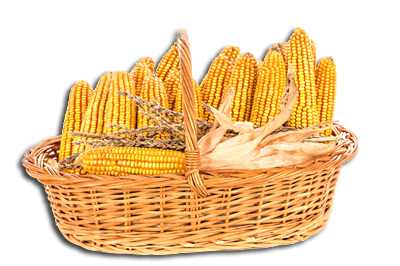 Our food sources must be nutritious and every effort is made to ensure that the populace makes the right choices that contribute towards sound vitality. The Food & Nutrition Council (“FNC“) acts as a Programmatic Support Agency for food and nutrition stakeholders. This role is primarily achieved through availing of critical food and nutrition data from various food and nutrition assessments. 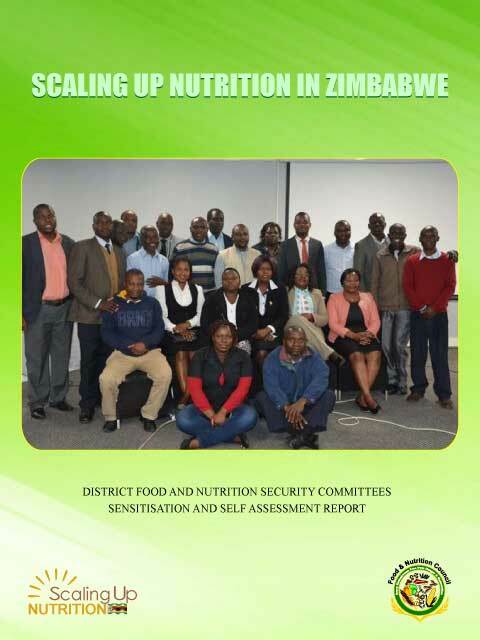 Founded in the year 2001, the Food & Nutrition Council is the lead agency under the Office of the President and Cabinet (OPC), tasked by Government with the responsibility of coordination, analysis and promotion of a cohesive national response by multiple sectors and stakeholders to food and nutrition insecurity in Zimbabwe. Our work includes, but is not limited to the functions listed below. 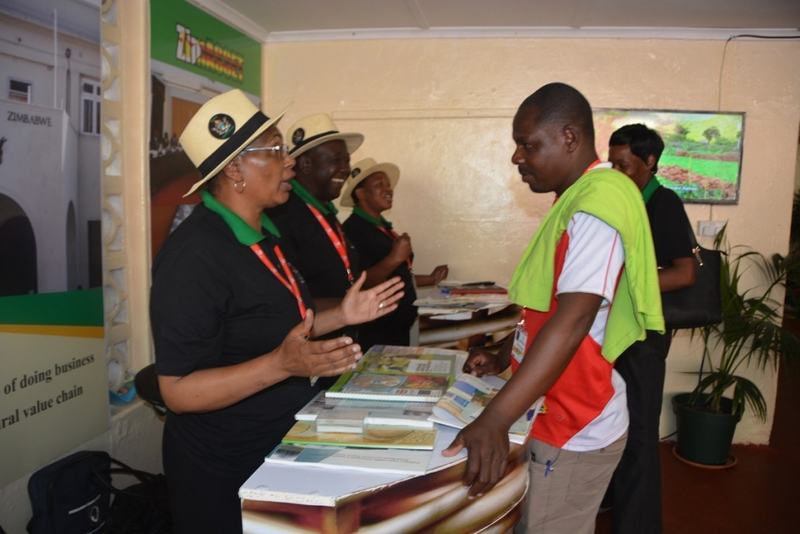 FNC is the convener and coordinator of national food and nutrition security issues in Zimbabwe. FNC charts a practical way forward for fulfilling legal and existing policy commitments in food and nutrition security. FNC advises Government on strategic directions in food and nutrition security. FNC undertakes a “watch dog role” and supports and facilitates action to ensure commitments in food and nutrition are kept on track by different sectors. 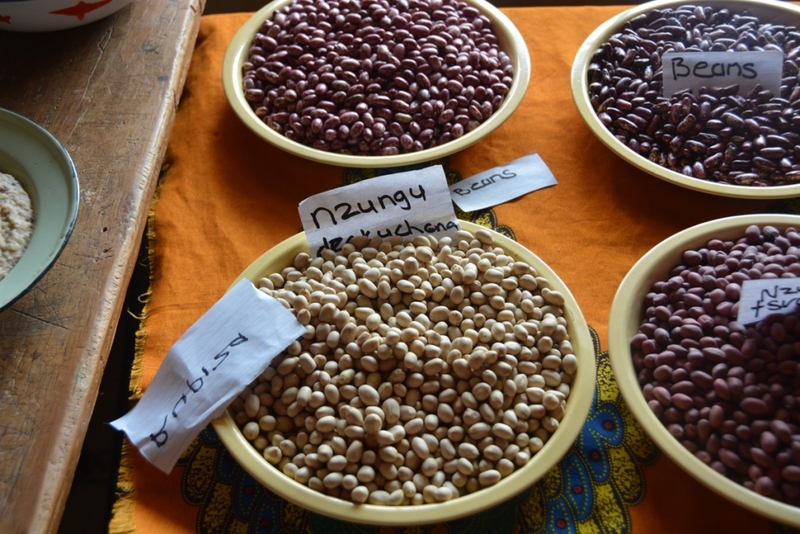 This is done by way of food and nutrition assessments, data analysis and research, advocacy, strategic policy analysis and advise, multi-sectoral initiatives, and building national and sub-national capacity for food and nutrition. 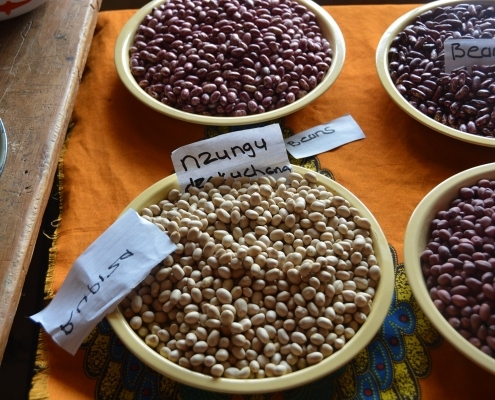 Zimbabwe has long prioritized food and nutrition security as a multi-sectoral response. 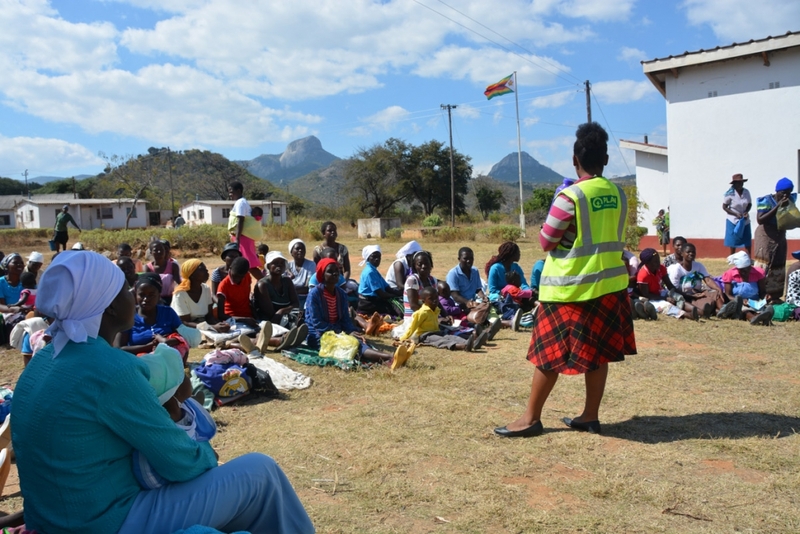 In 1995, the Government of Zimbabwe established a taskforce to recommend sustainable solutions to the persistent and growing problem of hunger and malnutrition in Zimbabwe. A Policy Framework document was prepared and in 1998. Cabinet agreed to a national consultative process to transform the Policy Framework into a national Food and Nutrition Security Policy (FNSP), whereinafter, to FNC in the year 2001. The Government of Zimbabwe has made commitments and sets itself national targets through Sustainable Development Goals. Of particular relevance, the Government has committed itself to ‘End Hunger, Achieve Food Security and Improved Nutrition and Promote Sustainable Agriculture’ as described by SDG 2. Other SDGs, such as those aimed at eliminating poverty, promoting access to quality education and enhancing gender equality, remain central. Government recently launched the Transitional Stabilisation Programme (TSP)-2018-2020 in a bid to boost economic recovery. The TSP strives to operationalise Vision 2030 which seeks to transform Zimbabwe to become a middle-income country by 2030. The vision places economic development at its core and aims to attain an improved quality of life for all citizens (urban and rural). FNC, mandated by the Government, developed a National Food and Nutrition Security Policy through a broad consultative process and it was launched in 2013. 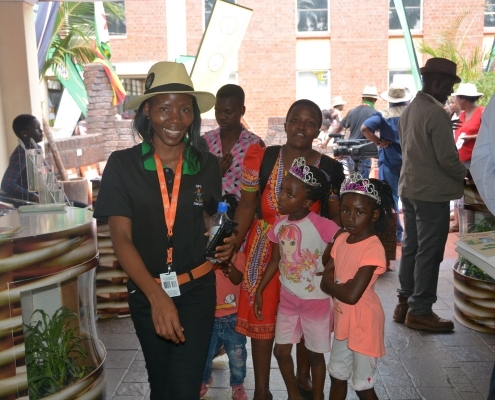 The goal of the policy is “promote and ensure adequate food and nutrition security for all people at all times in Zimbabwe, particularly amongst the most vulnerable, and in line with our cultural norms and values and the concept of rebuilding and maintaining family”. The policy commits Government to seven priority areas to ensure food and nutrition security. Today, the FNC is at the helm of facilitating dialogue and advocacy on food and nutrition issues between Government and development partners through multi-stakeholder platforms. 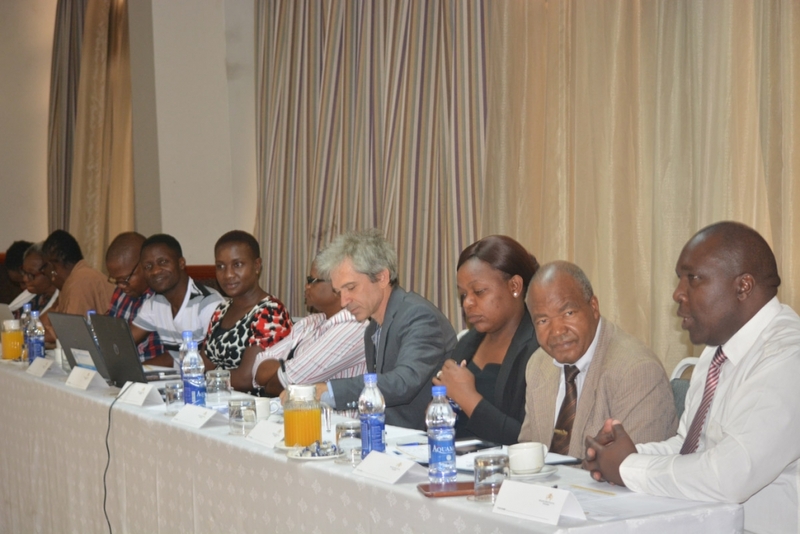 The outputs from these engagements are critical in informing policy formulation, implementation and monitoring. Coordinated the development of the Food and Nutrition Security Policy. 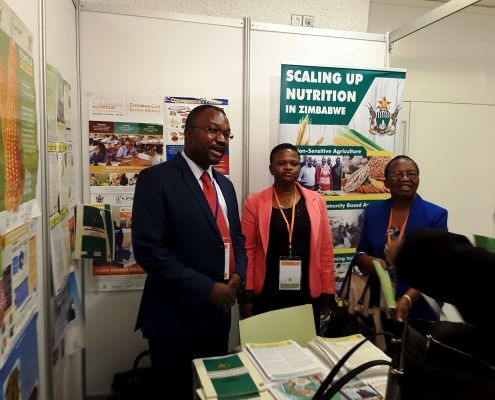 The policy commits Government to spearhead a comprehensive and cohesive multi-sectoral response to ensure food and nutrition security for all Zimbabweans. Jointly coordinated with the Ministry of Health & Child Care in the development of the 2014-2018 National Nutrition Strategy. 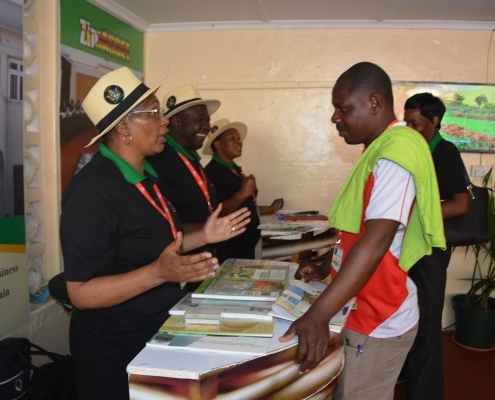 Reified and guided by the Food and Nutrition Security Policy, the National Nutrition Strategy’s mission is to implement evidence-based nutrition interventions that are integrated within a broad multi-sectoral collaboration framework. Facilitated the establishment of Food and Nutrition Security Committees (FNSCS). 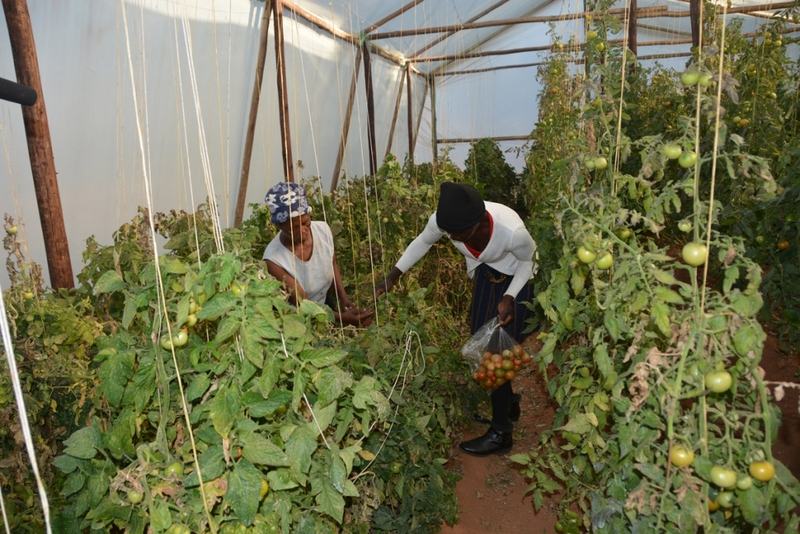 These are institutional structures for coordinated multi-sectoral implementation of the Food and Nutrition Security Policy and programmes located at all administrative levels from the national to the community level. 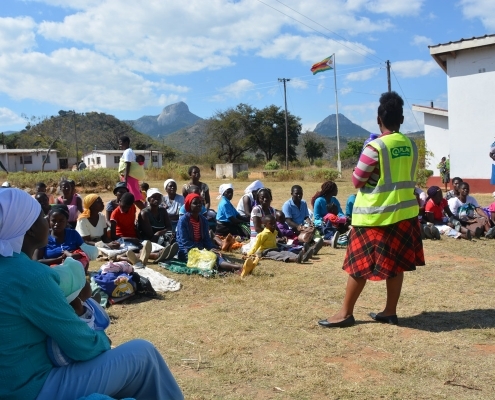 To date, 8 provincial, 42 rural district and 260 ward FNSCs have been established and resuscitated. Led the undertaking of 18 Rural &6 Urban Livelihoods Assessments and various rapid nutrition assessments. 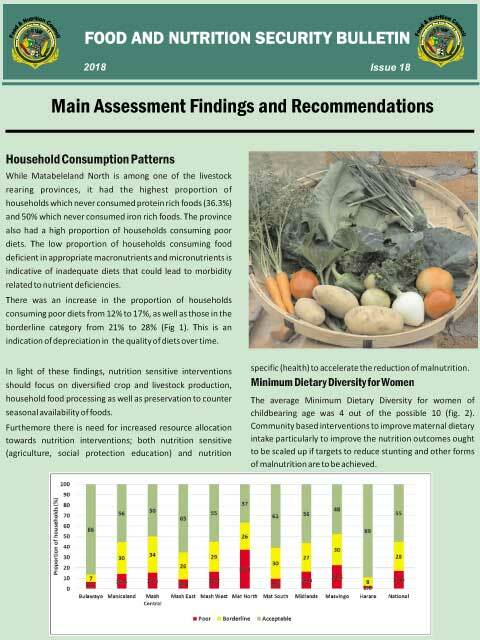 These assessments are part of a comprehensive Food and Nutrition Security Information System (FNSIS) that informs Government and Development Partners on the priority areas for interventions and assists in the development of relevant programming that will save the lives and improve livelihoods of Zimbabweans. 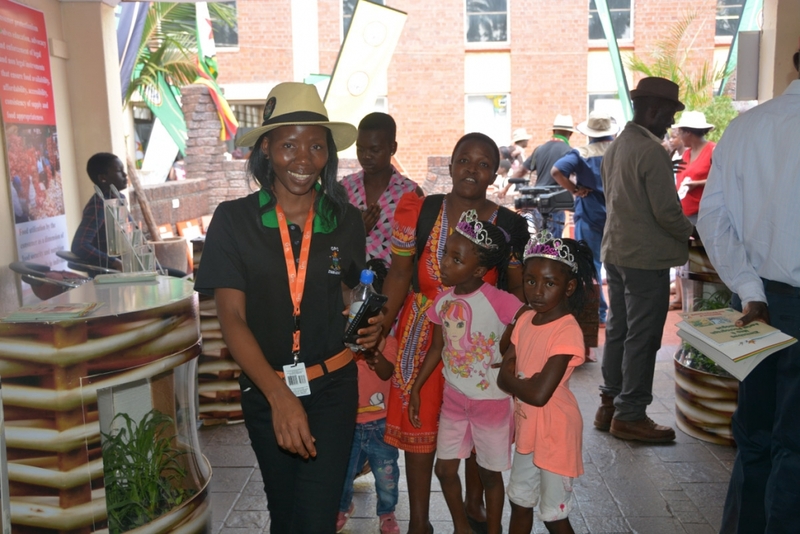 FNC continues to monitor and create awareness about Zimbabwe`s food and nutrition situation through regular national nutrition surveillance and assessments (NaNSA). In 2010 and 2018, FNC, in collaboration with the Ministry of the Health and Child Care, led in undertaking National Nutrition Surveys, in partnership with other Government ministries, UN agencies, NGOs and other development partners. 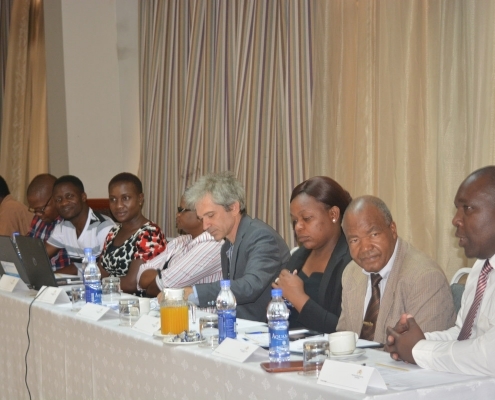 Zimbabwe Scaling Up Nutrition (SUN) National Convener. The SUN is a very broad multi-stakeholder global partnership to support national plans to scale up nutrition. FNC is the SUN convener for Zimbabwe which joined the global SUN Movement as an early riser in 2011. As convener, FNC has facilitated the establishment of the Civil Society network, the UN network and the Donor Network. The Business/Private Sector and Research and Academia networks are still under establishment. Continues to coordinate high level meetings to ensure food and nutrition remain high on the national development agenda. 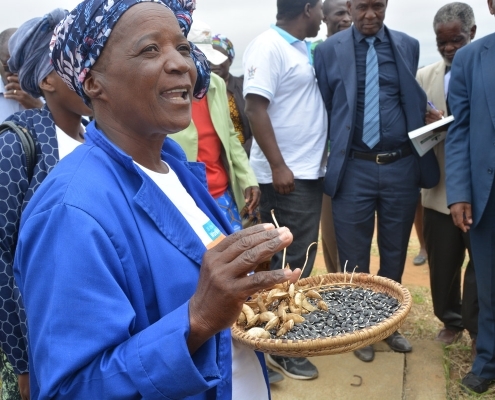 The vision of the Food & Nutrition Council of Zimbabwe is to promote a multi-sectoral response to food insecurity and nutrition problems to ensure that every Zimbabwean is free from hunger and malnutrition. This vision, is not negotiable as it reflects the truest intent of our vision for each and every Zimbabwean, today and tomorrow. 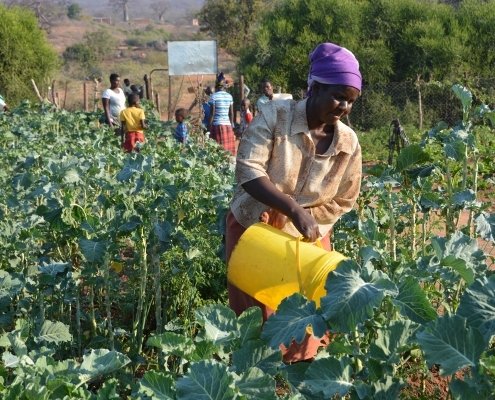 The overall goal of FNC’s work is to contribute to improved food and nutrition security in Zimbabwe. 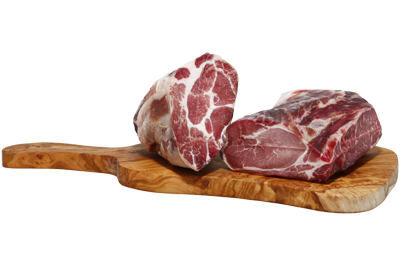 Food safety hazards are increasingly being recognized as a major public health problem worldwide, yet among developing countries, there is limited understanding of the wider-ranging socio-economic costs of unsafe food and the benefits of remedial or preventative measures. This limited evidence base has led many countries to underinvest in food safety, or invest inefficiently in reaction to serious outbreaks of foodborne illness, other food scares, or trade interruptions. For many countries experiencing rapid urbanization and dietary changes, the growing complexity of food safety hazards is outpacing if not overwhelming prevailing food safety management capacity-both in government and in supply chains. This report strengthens the economic case for increased public investment and other policy attention on food safety in developing countries. 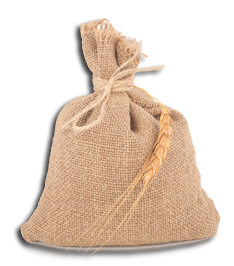 It is directed primarily at policy-makers, although researchers, development practitioners and food safety specialists will also find its content of value. By synthesizing and interpreting the available evidence on the economic costs of unsafe food in relation to both domestic markets and trade, the report positions food safety as an integral part of economic development and food system modernization. It goes on to provide guidance on ways in which public policy and investment can improve food safety awareness and behavior from farm to fork. You can access the publication here. 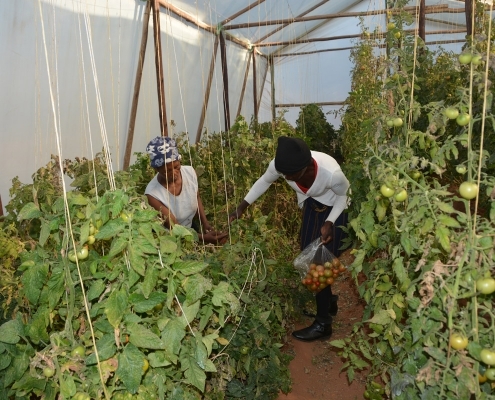 A Global Forum in Marrakesh supported by the European Union and organized by the European Bank for Reconstruction and Development and FAO has heard that development and international financing institutions must collaborate more strategically to leverage private investments. The International Fund for Agricultural Development (IFAD) and Save the Children Italy are hosting an international conference entitled “Leaving no one behind – making the case for adolescent girls”, which will be held on Monday 22 and Tuesday 23 October 2018 at IFAD headquarters, Rome, Italy. The conference will highlight the importance of investing in adolescents to ensure that they grow up and are educated in a healthy and safe environment to prevent the intergenerational cycle of malnutrition, food insecurity and poverty. The purpose of this event aims at sustaining on-going momentum of identifying solutions to break the intergenerational cycle of malnutrition, and to contribute to the achievement of the global nutrition goals and objectives of the United Nations Decade of Action on Nutrition. Institutions, practitioners, technical specialists, academia and civil society organizations will join the conference and contribute to the debate.